The Buckeye Battle Cry will be counting down the Top 25 players of the past decade all spring/summer. Every Monday and Thursday, Jim will be announcing a new player. Our #1 player will be presented on Monday, August 30th. Three days later, the 2010 season officially begins. To view the previous entries in our Top 25, click here. They could make a movie about Troy Smith’s journey at Ohio State. From an athlete who struggled to find a position on the team to a Heisman winning quarterback, the path Smith took was incredible, and there were many ups and downs along the way. Troy’s transformation from an athlete into a quarterback was almost as drastic as his transformation from an immature college student into one of the best leaders to ever play at Ohio State. Smith had a few run ins with trouble (including accepting illegal benefits that resulted in a two game suspension) but he learned from them and grew from them like only a true champion could. When his time came to an end in Columbus, you could hardly tell the difference between Smith and coach Tressel in their demeanor and the way they handled themselves in front of the press. The transformation was a thing to behold, and just another reason why Troy was a fan favorite. Troy started his career at quarterback by losing a head to head competition with Justin Zwick to replace Craig Krenzel. However, in the first of many instances of staying committed to the team and committed to getting better, Troy persevered and when the sputtering 2004 team needed a spark, Troy was there to jump start the offense. Smith capped off the 2004 season with one of the best performances ever by a Buckeye against Michigan, leading the team to an upset victory. On that day in the middle of November, Troy had 145 yards rushing, 241 yards passing, and 3 TDs. It was truly a performance for the ages in the biggest game any Ohio State player will ever play. Things were looking good for Troy Smith and the Buckeyes. The roller coaster was at the top of a hill, but it soon came crashing back down into a valley. Right when Troy looked like he was ready to shine, he was suspended for the bowl game and the first game of the 2005 season for accepting illegal benefits. Smith and Ohio State fans came crashing back to earth. The suspension resulted in some rough going at the beginning of an extremely promising 2005 season (losses to Texas and Penn State). Thankfully, once again, Troy responded like a champion, and by the end of the year Ohio State fielded one of the best teams to ever wear scarlet and gray. Troy led the 2005 team to an amazing comeback victory in Ann Arbor (2-0), and smashed Notre Dame in the Fiesta Bowl. Troy Smith had once again taken Ohio State and its fans to the top. The team and Smith rode the momentum they built at the end of 2005 and went wire to wire as the #1 team in the land in 2006. The ride from the end of the 2005 season all the way through the 2006 season were great days for Ohio State, and Smith led some of the best teams to victories in some of the greatest games to ever be played by the Buckeyes. Victories at #2 Texas in the beginning of the year and against #2 Michigan in an epic battle for the ages at the end of the year were the crown jewels of Troy’s time in Columbus. Troy had arguably the best year ever for a quarterback at Ohio State in 2006, and ultimately won the Heisman Trophy, capping off a perfect regular season with a bang. He became only the second starting quarterback to lead Ohio State to three straight victories over Michigan, and he was primed to lead Ohio State to the second National Championship under Jim Tressel. Unfortunately, the roller coaster ride hit a serious drop in the desert that year, and the embarrassment that resulted still lingers for Ohio State fans to this day. Smith was drafted in the 5th round of the 2007 NFL Draft by the Baltimore Ravens. He has remained a back-up throughout his time in the NFL, but continues to persevere and wait for his chance at a starting job. There are many record book stats that we could get into, but to keep things brief, Troy Smith was one of the most prolific passers ever at Ohio State, and one of the winningest quarterbacks as well. In the absence of a few serious speed bumps (suspension following 2005 season, disaster in Glendale) he would be the greatest quarterback to play at Ohio State without a doubt. As it is, he is one of the greatest ever, and extremely deserving of being named the top player of the last decade. For his dynamic play on the field, for his Tessel-esque leadership off the field, for captaining the most prolific offense of the decade, for 3-0 against that school up north, for demolishing Notre Dame, for the best single game offensive performance ever in The Game, for the Heisman Trophy and many other national honors, and for being a truly great and legendary Buckeye, Troy Smith is #1 on our countdown of the top 25 Buckeyes of the past decade. I am sure I am missing some things that made Troy great, so feel free to share your own favorite memories. It is remarkable how far Troy Smith progressed during his time in Columbus, and unfortunate how that time ended. Smith’s legacy lives on, however, and I would argue that Terrelle Pryor chose Ohio State based on the journey that Troy Smith made. Pryor has the opportunity to become the third quarterback to lead Ohio State to three straight victories over Michigan, following in Troy’s footsteps, and the 2010 offense is arguably the most talented since that epic 2006 squad. 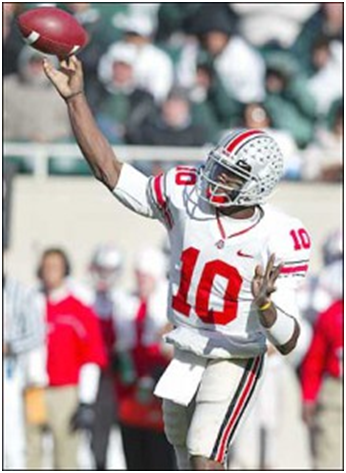 So as the season approaches, let’s think fondly of Troy Smith’s time with the Buckeyes, hope that Terrelle Pryor can come close to that standard, and most of all, hope for a better ending to the story. The 2010 season is here, Go Bucks! Georgia defensive coordinator Todd Grantham is the consummate teacher on the field, acting as more of a father figure behind the scenes. 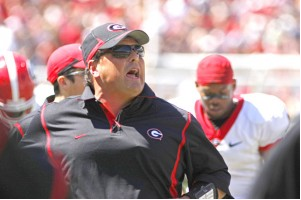 He also serves as Mark Richt’s rambunctious alter-ego on the sidelines. In just seven months, Todd Grantham’s impact on the Georgia defense is undeniable. In just seven months, he has gained the trust of his players. In just seven months, he has earned the ultimate title from his players. Georgia’s defensive coordinator, who was hired Jan. 15, has managed to cultivate worthwhile relationships with his student-athletes and has played a significant role in their lives on a day-to-day basis since arriving in Athens. Achieving that was something Grantham considered essential when he made the decision to accept his new job — returning to the college game after 11 years coaching in the NFL. Cornerback Brandon Boykin said Grantham is ferocious and impassioned in motivating his players to perform on the field, but Grantham’s off-the-field persona is quite contrasting, though he still remains a mentor in both arenas. With his office door always open and his text message inbox full of messages from his players, the accessible Grantham established a strong level of comfort and trust with his student athletes from his very first day on campus. The Pulaski, Va. native came in as a straight shooter, while using sincerity to lay a solid foundation. The Virginia Tech alumnus has created the perfect balance between fiery, on-the-field leader and compassionate, off-the-field mentor. Georgia’s defense, while simultaneously fusing bonds between he and his players on a personal level. Just as Grantham’s demeanor on and off the field fall into equilibrium with one another, his game time coaching style also balances out with that of his boss, head coach Mark Richt. Though Richt is infamous for maintaining a cool head during pressure situations on the field, Grantham brings another facet of emotion to the Georgia sideline — obvious, unbridled intensity. Grantham’s ability to light a flame under his defense coupled with his resolve to ensure the connections with his players remain steady has made for a fast-moving, fulfilling first seven months. And with the season opener just a week away, Grantham said he wants to be able to keep the lines of communication open to discuss and improve on the bad as well as celebrate the good. 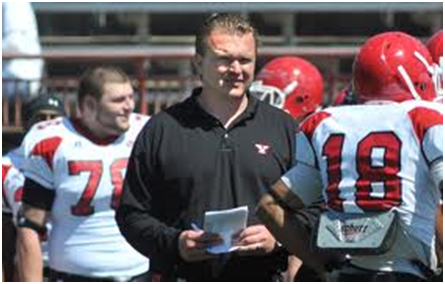 YSU football coach Eric Wolford has spent the last eight months treating every day like he’s preparing for a big job interview. It isn’t a great approach if you want to catch up on your sleep but it’s pretty helpful in building a program. “If you’ve got a big job interview tomorrow and it’s your dream job, I don’t know that too many people are going to sleep very well,” he said. “I’ve got my dream job every day, so my mind just constantly goes. His offensive coordinator, Shane Montgomery, understands. After three years as the offensive coordinator at Miami (Ohio) — where he coached Ben Roethlisberger — he was promoted to head coach in 2004. Wolford, an Ursuline High graduate, was a four-year starter at guard for Kansas State coach Bill Snyder, who in 1989 took over a team that had just been named “Futility U” by Sports Illustrated. Wolford was a member of Snyder’s first recruiting class, helping the Wildcats perform one of the most remarkable turnarounds in college football history. Wolford’s senior year, the Wildcats won their first bowl game, beating Wyoming in the 1993 Copper Bowl. That stint, combined with a year as a graduate assistant, taught Wolford how to build a successful foundation. “A lot of the things we do here, structurally and the foundation that we’re trying to lay here, is what Coach Snyder did at Kansas State,” said Wolford. “What he did there, it’s been documented, it’s the greatest turnaround in college football. Wolford hasn’t been shy about his belief that the program has underachieved in recent years. He often references Jim Tressel’s success and believes YSU can reach those heights again. It’s the biggest reason he took the job after spending much of his career climbing the Division I ranks. “Some of my friends and people I know, their first head coaching jobs were at places that have never won,” Wolford said. “I think about Coach Snyder when he took over Kansas State. They had never won a bowl game and had the longest losing record in college football. Wolford is known as a relentless recruiter, something that was on display early when he assembled his coaching staff. Although most of his assistants have a Football Bowl Subdivision (I-A) background, one of his best hires was receivers coach and recruiting coordinator Phil Longo, who spent the last two seasons as the offensive coordinator at Southern Illinois. “Wolf is as direct and honest a guy as I’ve coached with,” said Longo, who helped the Salukis go 15-1 in the conference the past two years. “When they say he’s extremely passionate about the game, they’re not lying. He has the answers to a lot of things and when he doesn’t, he’s very humble about it and he’ll go find the answer. Longo said the players and coaches always know what Wolford expects, which makes it easier for them to do their jobs. “There’s never any confusion or gray area about what needs to get done,” he said. Wolford also asks his assistants for input, starting each day with a staff meeting to make sure everyone is on the same page. “I think he’s done a really good job of asking people’s opinions,” said Montgomery. “When you’re a head coach, you’re only as good as your assistants. And to be successful, Montgomery said, you have to find the style that fits you best. The best approach, Montgomery said, it to take the best of what you’ve learned and make the job your own. Aaron Kampman (74) sacks Miami Dolphins QB Chad Henne during the preseason game on Aug. 21 2010. Kampman as proven himself to be an asset to the Jaguars both on and off of the field. It was a surprise to many when the small-market Jaguars were active in the free agency market. It was an even greater surprise when the team managed to ink one of the most attractive defensive ends in free agency in Aaron Kampman. General manager Gene Smith was one of those factors that convinced Kampman to move his family to Jacksonville. The Jaguars were amongst a host of teams that showed Kampman “free agency love” despite him losing the final month of last season to a torn ACL. Kampman believes that his surgery will make his knee stronger than ever. So what is the talented defensive ends goal following his surgery? Aaron Kampman is the main piece in what the Jaguars hope is a resurrection of their defensive line. The team that finished last in the NFL in sacks in 2009 has only one place to go, and getting one of the best pass rushers in the league can only help that. As far as a team goal for sacks, Kampman isn’t worried about actual numbers. “Honestly I don’t think we’ve set a number as a group. One thing I’ve always done, I’ve always done numbers myself but I don’t really get too worried about it. You always focus on the next one,” the veteran defensive end said. Kampman gave Jaguars fans a small taste on Saturday night of what he can bring as he and Tyson Alualu combined for a sack of Dolphins quarterback Chad Henne on the team’s very first defensive play. As much as the Jaguars need Kampman on the field playing as close to 100 percent as possible, he’s offering them an added dimension off the field as he’s mentoring the younger players. The Jaguars saw success with this last season as veteran wide receiver Torry Holt helped out many of the team’s young receivers. The younger players are taking to his leadership. “I’m learning a lot from him and the game is starting to slowly slow down for me so it’s getting better and better,” Jaguars fifth-round pick Larry Hart said. “Aaron Kampman (is someone) that we can look up to and pattern our game after his,” Jaguars first-round pick Tyson Alualu said. With questionable talent and depth on the back end of their defense, the Jaguars are going to need an improved effort from their defensive line. Aaron Kampman is not only helping the team on the field, but in the film room as well and if things progress Kampman could become the best free agency signing in team history. Lions kicker Steve Hauschka had an impressive game Saturday in Denver. He converted four field-goal attempts and showed off a strong leg by booting seven kickoffs into the end zone for six touchbacks. Coach Jim Schwartz praised Hauschka on Monday, but he doesn't want to expend a valuable roster spot on a second kicker and tempered the enthusiasm about Hauschka, who is filling in while Jason Hanson recovers from knee surgery. "Let's not get ahead of ourselves," Schwartz said. "A lot of people have kicked balls deep in Denver. Steve's got a strong leg. He's got good leverage. He's got that little Ernie Els kick, where he doesn't look like he's giving it his all, but the ball carries on him. He sort of smoothes it. "I'd like to see Jason healthy and hitting his kickoffs and feeling good about that, but theoretically, we could (keep Hauschka)." 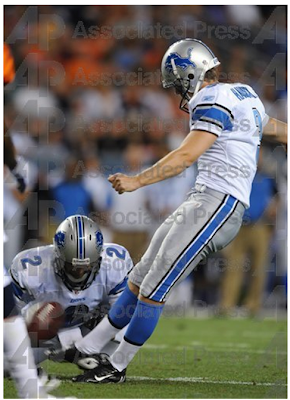 Hauschka spent the past two seasons with Baltimore and has a career-long field goal of 54 yards. He said he would be happy to be a kickoff specialist, especially considering he hasn't been a kicker long. Hauschka didn't play football until his roommate at Division III Middlebury College in Vermont -- safety Scott Secor of Lake Odessa -- talked him into trying out. He won the kicking and punting job while completing a neuroscience degree. Encouraged, Hauschka enrolled at North Carolina State in 2007 as a graduate student, studied parks and recreation and kicked the winning 42-yard field goal to beat Miami (Fla.), 19-16, in overtime. He was carried off the field at the Orange Bowl. 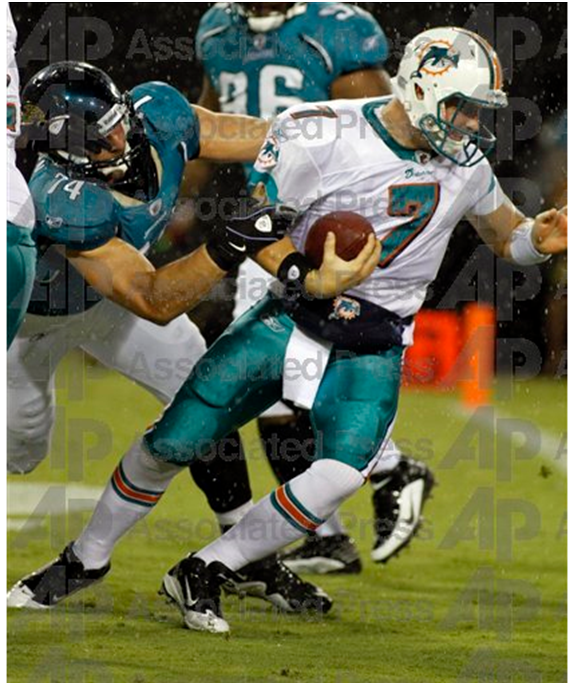 Former Hurricanes offensive tackle Jason Fox barely remembered Hauschka. But ex-Miami safety Randy Phillips did -- with a little help from roommate and former Wolfpack defensive end Willie Young. "Willie brought it to my attention that that was him who was doing that kicking," Phillips said. "Yeah, they rubbed it in on me. In fact, they was in my room when I got in there Friday. I was like, 'Who is this?' Oh, yeah, that's the kicker from N.C. State that sealed the deal on y'all." 00-1744. Baltimore Ravens Inc. v. Self-Insuring Emp. Evaluation Bd. Franklin App. Nos. 99AP-1262 and 99AP-1263. Judgment reversed and cause remanded. Moyer, C.J., Douglas, Resnick, F.E. Sweeney, Pfeifer and Lundberg Stratton, JJ., concur. Please note: Opinion summaries are prepared by the Office of Public Information for the general public and news media. Opinion summaries are not prepared for every opinion released by the Court, but only for those cases considered noteworthy or of great public interest. Opinion summaries are not to be considered as official headnotes or syllabi of Court opinions. The full text of this and other Court opinions from 1992 to the present are available online from the Reporter of Decisions. In the Full Text search box, enter the eight-digit case number at the top of this summary and click "Submit." (March 27, 2002) The Supreme Court voted 6-1 that the Baltimore Ravens must pay a $50,000 fine lodged against it more than three years ago by an Ohio workers' compensation review board. The decision arose from complaints over unpaid claims filed by five men who played for the team when it was headquartered in Ohio as the Cleveland Browns. Justice Alice Robie Resnick wrote the court's opinion, which finds that the Franklin County Common Pleas Court should have dismissed the team's appeal of the review board's order. The trial court was without jurisdiction to hear the matter, the justices said. Because the team maintained its own funds for workers' compensation claims rather than contributing money to the state workers' compensation fund, it was categorized as a self-insurer. Consequently, the dispute was referred to the Self-Insuring Employers Evaluation Board. The board found that the Ravens "consistently refused to pay workers' compensation awards, acting in a manner inconsistent with its legal obligations" and imposed a $10,000 fine for each complaint. The Ravens appealed the decision to the common pleas court, which sent the case back to the board for a hearing. The board appealed to the Supreme Court, asserting that the Ravens were not permitted to appeal the board's decision. The board argued that it is not an agency for the purposes of the Ohio statute that provides "any party adversely affected by any order of agency" with an appeal to the common pleas court of Franklin County. The Supreme Court agreed. "Disciplinary orders issued by the Self-Insuring Employers Evaluation Board…are not subject to judicial review," Justice Resnick wrote. The court rejected arguments that the board is an agency distinct from the Bureau of Workers' Compensation. "Rather than being a separate and independent agency…the board is inextricably entangled with and dependent upon the bureau." "The board is not self-sustaining or self-governing. It is not charged with administering or implementing any legislation, does not have its own staff or agenda, and does not promulgate nay rules or regulations. The board is devoid of power to execute or enforce its own recommendations and cannot autonomously impose a penalty, revoke or refuse to renew a self-insurer's status, or otherwise take disciplinary action against a self-insuring employer. Only the [bureau] administrator has the statutory authority to take such action," Justice Resnick wrote. Justice Deborah L. Cook dissented, writing that the statutory scheme "evinces legislative intent to establish the board as a separate agency from the bureau." 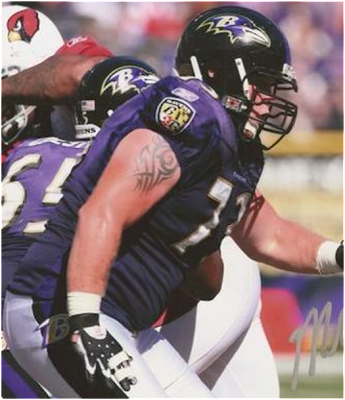 Irwin J. Dinn, for the Baltimore Ravens. Betty D. Montgomery and William J. McDonald, 614.4666.6696, for the Self-insuring Employers Evaluation Board. Neil Cornrich, for Ricky Bolden, Paul Ferren, Mark Harper, Lee Jones and Stacey Hairston. Marshal Yanda "as good of a right guard as there is in the league"
Minutes after the Ravens’ 17-12 preseason win over the Panthers last Thursday, John Harbaugh stepped up to the podium and gave his post-game shout-outs. It was only an exhibition, but he had plenty to praise. His pass rush was ferocious. His first-team offense was efficient. His patchwork secondary didn’t get torched. Then, unprovoked, the coach turned his attention to his offensive line — which so far this summer has borne little resemblance to the reliable unit we saw a year ago — and twice scolded it with the d-word. It was only an exhibition, but the performance of the Ravens’ offensive line was indeed disappointing — its struggles in pass protection impossible to ignore during a night otherwise filled with signs of encouragement. The Ravens allowed six sacks against the Panthers, and starting quarterback Joe Flacco was hammered hard a couple of times by defensive end Tyler Brayton — an OK player, but not exactly Julius Peppers — in the first quarter. Then we got news Saturday that starting right tackle Jared Gaither would miss at least two weeks with a tear in his back. That development, coupled with another shaky performance from his replacement, Oniel Cousins, has the status of the offensive line bordering on downright concern. Considered one of the team’s biggest strengths entering the season, the line has had its development hampered by injuries during training camp. Gaither, Cousins, Matt Birk, Ben Grubbs, Tony Moll and Stefan Rodgers have all missed time in Westminster, and Joe Reitz took a major blow to his ego on that failed dunk attempt the other night. Offensive coordinator Cam Cameron and offensive line coach John Matsko have been scrambling to piece together a starting five, no doubt affecting the chemistry of the constantly changing unit. That’s why each day at practice you’ll hear the coaches yell out “Saaaaack!” at least a half dozen times to keep the QBs from getting clobbered by color-blind pass rushers. The good news is the Ravens still have a few weeks to get things figured out before they travel to New Jersey to take on Rex Ryan and his swarming Jets defense. Cousins is key. The third-year offensive tackle out of UTEP needs to find his footing fast to lock down the right side of the line. If not, he’ll have a bulls-eye on his back while Gaither is out. As we saw against Pittsburgh last season, teams perceive Cousins as a liability they can exploit. If he’s not up to the task, the Ravens will be forced to do more shuffling. Marshal Yanda — who Cameron said “is as good of a right guard as there is in the league” — would have to be shifted over to tackle, something the team is trying to avoid. Harbaugh said getting the offensive line back in sync would be a top practice priority this week, and the big men face another tough test against the Redskins this weekend. Meanwhile, somewhere in upstate New York, Rex and the Jets will be watching — licking their chops in the hopes that Harbaugh will still be disappointed with his suddenly shaky offensive line when Week 1 rolls around. 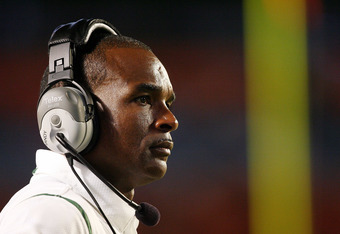 Miami Hurricanes: Has Past Success Put Too Much Pressure on Randy Shannon? We do it all the time. Go back to the glory years of Miami Hurricane football. Pure dominance in every aspect of the word. There was a time when other teams across the country had flat out lost the game before it was even played. When Howard Schnellenberger took over the team in 1979, he set the bar high. He took a dying program and gave it life. He did the impossible and made them champions. Then, along came Jimmy Johnson and he took the program to another level. He brought in the attitude and made them winners, going 52-9 during his tenure. Next up was Dennis Erickson, who inherited the amazing talent Johnson had recruited and ran with it. Gaining two national championships and their second (of three) perfect season. Butch Davis was the next coach and a lot of fans and players were upset on how Butch did at Miami, but I do not blame him at all. He had a rough couple years, there is no doubt, but Davis was a recruiting master (still is at UNC) and gave Larry Coker the best team in NCAA history, the 2001 Miami Hurricanes. The problem with Larry Coker is he didn't have to do much with the talent. When his talent started to deplete, he was at a loss. His recruiting tactics were flat out horrible. He lost, in many peoples eyes, south Florida. The "State of Miami" that Schnellenberger built was slowly shrinking. Along came Randy Shannon. Honestly, he inherited a soft and weak team. There were good players, don't get me wrong, but he knew what he needed to do to get the Canes back to contention—take back south Florida. He has and is doing a wonderful job. The problem isn't Shannon. The problem is history. You see, Schnellenberger, Johnson, Erickson, Davis, and Coker went 267-69, a winning percentage of .792. They won five national championships, with three of them being perfect seasons. Shannon has gone 21-17, .553%, and doesn't even have a bowl victory. The difference is his recruiting and he knows what he is doing. Randy has the chance to bring the national championship back to Coral Gables. With the right coaches in place, there is no doubt this year's team has the talent. The problem is the dynasty and history of the Miami Hurricanes. It's amazing what those teams did during the 18 years between the first and last national championship. So before you pass judgement and pressure on how Randy Shannon is doing, don't look at the past. Look to the present and future, because Shannon has Miami on the right track. Top 25 Buckeyes of the Decade: #5 Ted Ginn Jr. 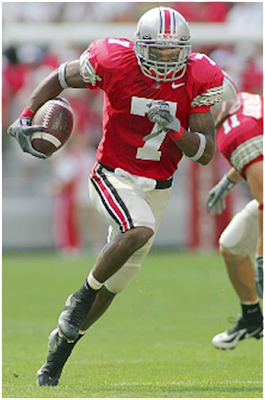 Simply put, Ted Ginn Jr. was one of the most electrifying players in the history of college football. With world class speed and an innate ability to make defenders miss, Ginn was a threat to score every time he touched the ball. Over the course of his career, Ginn went from a special teams phenom as a freshman to one of the best game breaking wide receivers in the country. He led the team in receiving in 2006 on the most prolific Ohio State offense of the decade. Ginn earned first team All-American honors as a punt returner in 2006, but his season and career at wide out were stellar as well. Ginn has the 6th most career receptions (135) and the 8th most career reception yards (1,943) at Ohio State. In addition to his achievements catching the ball, he set the Big Ten record with 6 career punt return touchdowns. To truly appreciate what Ginn was able to do on the football field, you have to go past the stats and witness some highlights. Back to the stats for a moment, all together, Ginn had 4,068 all-purpose yards and 26 touchdowns in 37 games at Ohio State. While he did lack a certain level of polish at receiver throughout his career, being one of the fastest players ever helped to compensate for that. That elite speed and big play ability is what Miami was looking for when they drafted him 9th overall in the 2007 NFL draft. About a year ago, Bernie Kosar quietly made a call to Baltimore. "I needed to see Art," the former Cleveland Browns quarterback said. He meant Art Modell, the former owner of the Browns who moved the franchise to Baltimore after the 1995 season. "We hadn't talked since I was cut [by the Browns in 1993]," Kosar said. "I heard that Art was in a wheelchair and not doing well. I know that Art thinks he can't come back [to Cleveland], so I went to Art." All Kosar ever did was make Modell a lot of money from 1985 to '93, when Kosar quarterbacked the Browns. To this day, Browns fans are stunned then-coach Bill Belichick cut Kosar in the middle of the 1993 season. Belichick believed Vinny Testaverde was ready to be the Browns starter. But Testaverde was out with a shoulder separation when Belichick made the poorly timed, incredibly unpopular decision. And Modell allowed it to happen. "Because it was something I should do," Kosar said. "Why not make up with him? Life is too short. We had a great visit." Kosar is now 46. He sees the world not through the eyes of the confident quarterback, but from the perspective of a man who knows life can be hard. It's not always fair. We also can make some dumb decisions. "When I was playing, I never thought it would end," he said. "I knew it would happen, but I never thought it would, you know what I mean? I didn't think I'd get hurt. I didn't think I'd get divorced. I didn't think I'd go bankrupt. I thought the money would always be there. No athlete when he's young or in his prime ever thinks it will end." The divorce was very public, very ugly. The money disappeared because of some family issues and some poor investments. Kosar also forgot he was an honor student with a finance degree from the University of Miami. He allowed some people to handle his money, and he simply didn't pay attention to where it went. "I know how to make money, and I know how to spend money," he said. "The saving part never worked for me. My dad was a steelworker. My brother's company closed. Things happen, people needed help." "I was into a lot of Florida real estate," he added. "Anyone who had a lot of Florida real estate and says they didn't get killed [financially] in the last few years is lying." 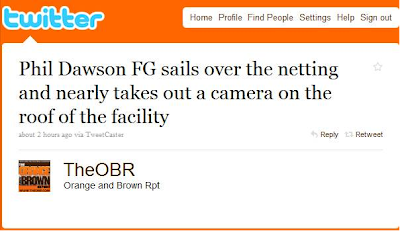 He's dating Tami Longaberger, the CEO of The Longaberger Co. of Newark, Ohio. It's nationally known for its handmade, quality baskets and enthusiastic, Avon-like sales force. Longaberger is publishing a business book called "Weaving Dreams" this month, and she has been on the board of trustees at Ohio State. "The rumor is we're engaged," said Kosar. "I act like we're married. Just say that we're good friends. Her impact on me is phenomenal. She is an amazing person." Bernie Kosar takes time out during a conversation with Browns offensive coordinator Brian Daboll, right, to sign an autograph after a Browns practice in Berea on Aug. 1. Longaberger is helping Kosar get organized. He is now represented by Neil Cornrich, one of the National Football League's most respected agents. Kosar is working through his bankruptcy issues and working with Longaberger on selling products with NFL licensing. Kosar recently was in Columbus for The Bee, a sales convention for the Longaberger Co. attended by more than 6,000. He was not the star. It was Tami who delivered the keynote address. He gave a short speech about the company's product line aimed at pro and college football fans. Yes, he was there to shake hands and sign autographs, but he was more like a blocking back and a safety-valve receiver with Tami quarterbacking the business. He also seemed very content in the role, as this was his second Longaberger convention. "Bernie is a person who is honest and has the courage to express his opinions," Longaberger said. "He's not self-absorbed. He is generous and kind. He has a hard time being mad at those who haven't been nice to him. It's not in his heart to hold grudges." Which brings us to Belichick. "Bill and I made up not long after he got the New England [Patriots coaching] job," Kosar said. "I was interviewed about it, and I told the writers that I thought Bill would make a good coach. I really meant it. He's a smart guy. Bill then called me to thank me, and we've been friends ever since. I have never been one to carry grudges for long." "I got whacked by Bill, but stuff does happen," Kosar said. "You can't change history. You can't be negative or bitter about it. I didn't want to carry that around when it came to Bill. When reporters asked me about how Bill would do in New England, they figured I'd slam him. But I said what I really believed. Bill is fantastic when it comes to organization and discipline. His strength is defense. He really knows his X's and O's. He could learn offense, and he'd learn from what happened in Cleveland." "People won't believe this, but when we were talking about coaches for the Browns in 1999, I mentioned hiring Bill to [owner Al] Lerner and [team President] Carmen Policy," Kosar said. "They about laughed me out of the office. They thought I was crazy. I thought Bill would be perfect for a team on a tight timeline because of his incredible organizational skills. We needed a special coach for an expansion team." Kosar says he and Bill Belichick, right, have been friends for many years, even though Belichick infamously released the popular Browns quarterback in 1993. Kosar had to know the public backlash to bringing Belichick back to Cleveland -- remember, he had yet to revive his career at New England -- meant it was impractical. But the fact that he would mention it says two things about Kosar: 1) He is a very creative thinker and risk taker when it comes to football. 2) He really hates grudges. Asked to discuss Kosar, Belichick responded with this e-mail: "I have always had a lot of respect for Bernie -- his football intelligence and passion for football. I appreciate the support he has shown me through the years. I have always admired his preparation and commitment to the Browns -- before, during and after Bill Belichick. I have enjoyed my communications with Bernie through the years." It sounds very formal and sterile, but the facts are that Kosar has reached out to Modell and Belichick over the years, two guys who were part of the worst season of his life. Longaberger said one of the things she admires most about Kosar is "how he deals with pain, both emotional and physical. He says dealing with the pain, especially the emotional pain, has made him a better person. He doesn't stay angry." The physical toll on his body is real. In a low chair, he can't just stand up -- his surgically repaired ankle and aching knees aren't strong enough. He needs to pull himself up a bit with his hands on the arms of a chair. Nor can he hold his right arm straight out to the side of his body. "I've had surgery on my ankle to get a screw taken out," Kosar said. "I had surgery on my right elbow to have spurs removed, and on my left elbow to have a ligament fixed. My back hurts sometimes. The ankle still isn't great. But I'm doing OK, I really am." Kosar took a physical beating during his playing career, and he still feels the effects today. Kosar also has dealt with the aftermath of concussions suffered while playing. There are some headaches, some brief memory loss, some occasional involuntary twitching. "I don't know how many concussions I had . . . a lot," he said. "We just played through them. It was like a badge of courage. No one was counting when I played. I kept smelling salts in my pouch [around his waist] when I was out there, because I'd get hit and feel dizzy." "We played at Pittsburgh, Cincinnati and Houston every year," Kosar said. "That awful [artificial] turf, the worst fields. It was like cement. The initial hit wasn't the worst, it was when your head banged down on that turf. I have friends that I played with who are worse. They have short-term memory loss, I don't. "But in the morning, I sometimes feel slow. At night, I get tired. I struggle sometimes to say exactly what I want when I'm tired like that. But I have been treated, I am doing better." Kosar said all that without a trace of pity. It was as if he were reading off his work schedule for the day -- no emotion, just a fact of life. "I've gotten to know some of Bernie's friends from the Browns," Longaberger said. "Most of them have real physical problems from football that they'll deal with the rest of their lives. But they are like Bernie -- they say they'd go through it all once more if only they could play again." Kosar has four children: Sara (age 18), Rachel (17), Becky (13) and Joe (10). "I spend a lot of time as Mr. Mom," he said. "The kids live in Florida, but they spend a lot of time up here with me. I coach my son's flag football team. It's so cool. We have a kid named Michael Stolzenberg. He plays with artificial legs and arms. He's unbelievable, so tough. When I feel bad, I think about him. I get real thankful. Then guess what? He runs faster than me." Kosar loves to play catch with his son, both pretending they are quarterbacks. "I still have a juvenile streak in me," he said. "If one of us makes a bad throw or drops a pass -- usually, it's me -- then we later play a game called Gastineau. I stand by the bed, and my son blindsides me. Hits me hard. He's about 5-4, 125 pounds. He lifts weights with me. He's strong." 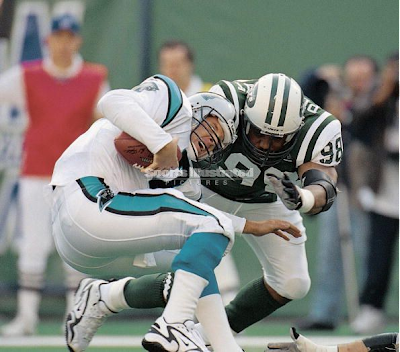 Most Browns fans will remember when New York Jets defensive end Mark Gastineau hammered Kosar in a game. Now, it's what Kosar calls it when his son tackles him. Kosar doesn't dwell on the past, but he thinks about it. "I still talk to [former Denver Broncos quarterback] John Elway," he said. "We never talk about The Drive or The Fumble [which led to losses by the Browns in the AFC Championship Games during the 1986 and 1987 seasons]. He knows it's still too painful for me. We talk about guys we played, games we saw -- even some individual plays in games. He owned the Denver franchise in the old Arena League, and we talk a lot about Arena League players. But we don't talk about those [playoff] games." Kosar was a backup to Hall of Famer Troy Aikman during his half-season with the Cowboys in 1993, but he played most of the second half of the NFC Championship Game after Aikman was injured, and received a Super Bowl ring. Kosar did receive a Super Bowl ring as a backup with Dallas in the 1993 season, "but my goal was to win a Super Bowl for Cleveland. It's why I wanted to play here in the first place. It's home." So what was worse, The Drive or The Fumble? "Can't say," he said. "They both sucked. But I felt the worst for Earnest [Byner, who fumbled]. He's such a good man. I think about him every day. I admire how he handled all that." There are nights when Kosar feels as if he's still the Browns' quarterback. If you say, "In his dreams," you're right. "I have dreams where I'm still playing," he said. "Not dreams about whole games, just plays. I may be watching film of certain blitzes or defenses, then I go to sleep -- and suddenly I'm in a game, facing that defense. I've had dreams about two-minute drills. I still watch a lot of game films. Arena League, the Browns, whatever. I remain fascinated by it, I love to study it." Longaberger said: "Bernie is brilliant when it comes to the game of football. He tells me what is going to happen with a play as soon as the teams are on the line of scrimmage . . . his vision for the game is absolutely amazing. Sometimes, he will talk about his playing days . . . a specific play that he would want to do over, how [former University of Miami] coach [Howard] Schnellenberger, [former Miami offensive coordinator Gary] Stevens and [former Miami quarterbacks coach Marc] Trestman influenced his offensive philosophy and his life. "He misses the locker room environment that no one really understands but the players. He still appreciates the loyalty and love he receives from the guys he played with." Kosar's last game with the Browns was 11 games into the 1993 season. His last season as a pro was with Miami as a backup in 1996. "I still miss playing," he said. "That's the best job that I'll ever have. That's why I loved sitting down late at night in Berea with [Browns offensive coordinator] Brian Daboll and [coach] Eric Mangini, looking at film. Talking football. They are great guys. They proved it in the last four games of the year." Kosar remains a consultant for the Browns. When former General Manager George Kokinis left the team in the middle of last season, owner Randy Lerner asked Kosar to be around the team -- to be available to Mangini. At first, the coaches were suspicious of Kosar. Was he there to spy for the owner? Did he plan to second-guess them to the players? But Kosar took a very low-key approach, arriving at the practice facility long after the players were gone. He simply said he was available to the coaches, and it wasn't long before Mangini began to incorporate the former quarterback into some film sessions with the coaches. "Bernie was great," Mangini said. "We clicked right away. It's all football with him. He had no agenda other than to help us get better. He developed a good relationship with Brian [Daboll]. He is totally honest, a guy you can trust." Mangini attended some of the Gladiators' Arena League games, as Kosar is a consultant for that team. "I wanted to show support for Bernie," he said. "We still talk on the phone, and we'll see how it works this season." Kosar said he's open to whatever role the new front office would have for him. "But this is [team President Mike Holmgren's] show," he said. "He has brought in his own people. I don't want to interfere." "I'm 46, in the second half of my life," he said. "I feel better than I have -- physically and emotionally -- probably since I played. I work out about every day. I eat better. I do a lot of stretching. I have stopped making long-term plans because I have learned how it all can change. I want to make the most of every day. I really am content where I am right now." GREEN BAY, WI - AUGUST 14: Phil Dawson #4 of the Cleveland Browns watches his game winning field goal during the NFL preseason game against the Green Bay Packers at Lambeau Field August 14, 2010 in Green Bay, Wisconsin. The Cleveland Browns played what was probably one of the best preseason games ever against the Green Bay Packers. 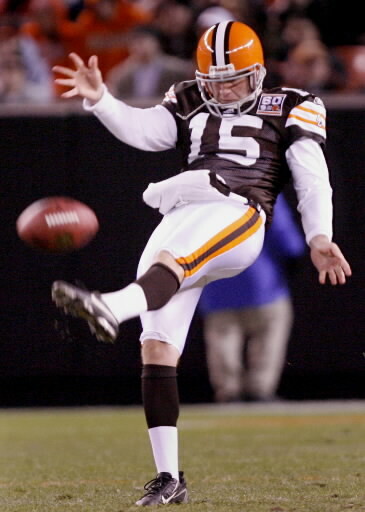 In a game that had a regular season feel to it in the first half and toward the end of the fourth quarter too, the Browns went back to their old reliable with kicker Phil Dawson who not only tied the game on an impressive 58 yard field goal, but then won it with two seconds left from 46 yards out. Both kicks split right down the middle of the uprights and Dawson was "Dawesome" once again. Dawson, the final remaining member of the 1999 expansion team, has been the most reliable player on the Browns' roster for years. When the offense could not get the ball into the end zone, Dawson was always there to kick a field goal. With the Browns' offense being mediocre for many of the 11 seasons since the rebirth of the team, Dawson has been the rock. Fans have often joked about how Dawson was the most potent part of the offense too. The reality of the whole thing is the all those Dawson kicks over the years have only helped him become one of the most accurate and clutch kickers in the NFL right now. Dawson wants a new contract and he is well on his way to get one and retire with the orange and brown. Plus, he is one of the few kickers in the league who really knows how tough it can be to kick in the unpredictable weather in Cleveland. "Kicking in Cleveland keeps you young, but gives you grey hairs too," said Dawson prior to Browns training camp starting on July 31. Dawson is the consummate professional and he has put his contract differences aside to prove himself yet again to new team president Mike Holmgren and general manager Tom Heckert too. 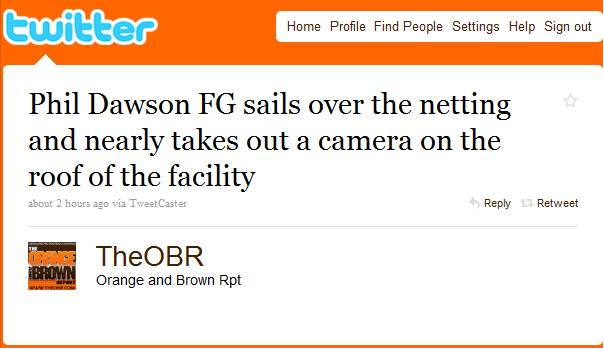 Bottom line is that Dawson doesn't need to prove anything to anyone. He will most likely get a new deal done either in the last half of this season or definitely before free agency opens after this season's Super Bowl is over. 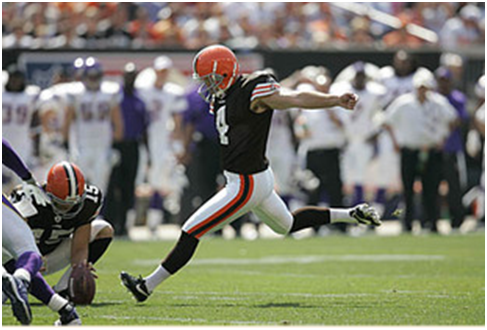 Dawson is a keeper and he won the Browns' first preseason game of the season on two fantastic kicks which is only the beginning of what may be many more during the 2010 regular season. Great to have you on the team Dawson and Browns fans everywhere hope that you will get that new contract you so deserve too! I've been reading several reports over the past few days about Dave Zastudil and his recovery from off-season surgery. Although the reports have been lacking any substantial info, I have to admit I'm concerned. From all I've ever heard about the man, Zastudil is one of the classiest folks you'd ever want to meet. He has been instrumental in fundraising activities in his home town of Bay Village. 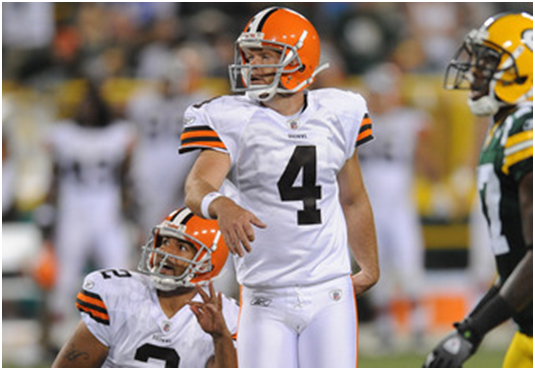 I took in his recent kicking camp at Bay High as he and Phil Dawson provided positive, yet honest one-on-one instruction. Proceeds from that camp went to Rise Above It Foundation. For more info on that, please go to RAI Benefit | Rise Above It | Help Fight Cancer!. When healthy, Zastudil is one of the best punters in the NFL. In my opinion, he is Pro Bowl material. The Browns are a better team with him than without him. Hodges is alright, and the team would survive. But Zastudil could be a difference maker for a team forging ahead toward break-even. A deep boomer here, a coffin corner boot there could mean an extra win somewhere along the line in 2010-11. Here's hoping all will soon be well for one of our native sons. Monday, August 9, was a noteworthy day in the NFL and it had nothing to do with labor negotiations, Hall of Fame speech omissions or will-he-or won't-he speculation. Well, actually it had something to do with Brett Favre, but not in the way one would first imagine. Green Bay Packers quarterback Brett Favre can pinpoint when, where and why he got scared straight. It happened on Feb. 27 in room 208 of Bellin Hospital in Green Bay, where he had just undergone surgery to remove one bone spur and several bone chips from his left ankle. One minute Favre, the NFL's MVP last season, was talking to his girlfriend, Deanna Tynes, their 7-year-old daughter, Brittany, and a nurse. The next thing he knew, there were tubes and IVs coming out of him everywhere. He doesn't remember the 20 minutes in between, during which his limbs thrashed, his head banged backward uncontrollably, and he gnashed his teeth. During those minutes his body told him in a loud wake-up call to stop popping painkillers as if they were Lifesavers. He never heard Tynes scream to the nurse, "Get his tongue! Don't let him swallow his tongue!" He never heard a terrified Brittany ask, as she was being whisked from the room, "Is he going to die, Mom?" After the seizure had ended and he had come to his senses, Favre looked into a sea of concerned medical faces and saw Packers associate team physician John Gray. "You've just suffered a seizure, Brett," Gray told him. "People can die from those." Favre's heart sank. Upon hearing from doctors in the room that his dependence on painkillers might have contributed to the seizure, he thought, "I've got to stop the pills, I've just got to." Last season, Favre went on such a wild ride with the prescription drug Vicodin, a narcotic-analgesic painkiller, that Tynes feared for his life. He scavenged pills from teammates. At least once he took 13 tablets in a night. ,... "The only reason I ever did this was because I had to," he said. "Had to. I had to play. Injuries have cost a lot of guys their jobs in this league, and there was no way an injury was ever going to cost me my job. Then it just got out of hand." Favre, of course, went on to play 14 more seasons in the NFL, and whether he'll return for his 20th is largely dependent on how well his left ankle recovers from surgery performed two months ago. Whether he comes back or doesn't, it's worth pointing out that Aug. 9 was the last day hundreds of NFL players could be tested for painkillers and other possible substances of abuse until early next April. So if a player who's trying to make a team suddenly decides he needs to resort to extreme measures to stay on the field, he does so now with the knowledge that there's less chance of getting caught. To be sure, there are exceptions. Players who have tested positive recently or are otherwise deemed to have abused a substance of abuse, such as a prescription drug without a prescription, are subject to additional testing beyond Aug. 9. Take Green Bay Packers defensive tackle Johnny Jolly, who has been suspended for the entire 2010 season for violating the league's substance abuse policy. His substance of abuse? Codeine, an opioid that relieves pain and increases tolerance to it. It's also a Schedule II controlled substance that is illegal without a prescription. Until Jolly struck a plea deal with prosecutors on Aug. 3, the legal system threatened him with a far more serious penalty: up to 20 years in prison for illegally possessing the painkiller, which was discovered during his arrest outside a Houston nightclub in 2008. If he's ever reinstated, he'll be subject to testing. But for the vast majority of players, unless there is reasonable cause, the collective bargaining agreement mandates no testing for the likes of cocaine, marijuana, amphetamine, opiates (morphine and codeine) and phencyclidine (PCP) until April. Over-the-counter pain medicines, such as Tylenol or Aleve, are not tested, nor are prescription pain medicines such as Vicodin, Demerol, Percocet or OxyContin. By contrast, testing for steroids and illegal performance enhancers occurs throughout the year. Other leagues and their respective players' associations have adopted different and, in some cases, stricter policies. • In the NBA, all players are subject to four random tests each season (from Oct. 1 to June 30) and any prohibited substance is fair game. • The NHL and NHLPA have bargained a similar arrangement, with every player subjected to as many as three tests from the start of training camp through the end of the regular season. NHL players are tested for steroids, illegal performance enhancers, narcotics and many other items, as the NHL and NHLPA have adopted the World Anti-Doping Agency's list of prohibited drugs (which does not include opiates). • Major League Baseball players, who are tested for steroids during the season, are not tested for many substances of abuse -- for example, cocaine, opiates and marijuana -- unless there is "reasonable cause." Given that NFL players are tested for substances of abuse only during the offseason and for steroids throughout the year, while the other two "physical" pro leagues -- the NBA and NHL -- test for substances of abuse throughout their seasons, a cynic might infer that the NFL and NFLPA are more worried about players using steroids to get bigger and stronger than those same players using illegal drugs for treating pain or getting high. Both organizations sharply disagree. An NFLPA spokesperson said the union takes the issue seriously and is trying to determine what it takes for players to get through each week in terms of pain. Meanwhile, an NFL spokesman said, "Our current procedures are as broad as the union has thus far allowed us to go. We are always seeking ways to improve our program. We recognize that in our society the misuse and abuse of prescription opioids is a problem. We test for it under the NFL's program, using the latest science and current understanding of the issue, and we closely monitor the trends. We do not see evidence of a particular problem among NFL players, but we do address it through testing, intervention and discipline." Lending support to the NFL's argument is agent and attorney Neil Cornrich, whose clients include New England Patriots head coach Bill Belichick and Jacksonville Jaguars defensive end Aaron Kampman. While noting that painkiller abuse is a serious issue for the league and the players association, Cornrich recommends that it be viewed in the broader context of the United States: "If there is an increase in abuse among NFL players in using painkillers, it likely mirrors a general increase of what is happening in society and is not unique to the NFL," he said. "The unfortunate reality is that prescription painkillers are readily available over the Internet and across borders." Cornrich's remarks are backed up by data: In July, the U.S. Substance Abuse & Mental Health Services Administration released a study showing "a dramatic rise" in painkiller abuse from 1998 to 2008 "among nearly all segments of the population, regardless of age, gender, educational level and employment status." Relief of pain, of course, is an understandable desire for any NFL player, just as it is for any person. To expect NFL players to completely refrain from pain relief would be unreasonable and counterproductive. No doubt about it—you get more hype, more scrutiny, and media exposure playing for Ohio State, Texas, Alabama, or Notre Dame in football then you do playing for the University of Iowa. That is because Ohio State, Texas, Alabama, and Notre Dame have reputations of being esteemed, premier football programs, fielding the best teams with the best athletes year after year. The most talented players ready to enter college desire to play for top-flight football programs because it means a chance to excel, playing with or against the very best in the country. It also means a higher likelihood of being drafted by the NFL and signing lucrative pro contracts. In the past decade of college football, however, the Iowa Hawkeyes finished No. 8 in 2002, 2003, and 2004, No. 20 in 2008, and No. 7 in 2009 in both the Associate Press and USA Today polls. How does Iowa manage to play great football and field winning teams despite being designated as a middle-of-the-pack team in college football? For Iowa fans and college football aficionados the answer is pretty simple. Iowa offers great coaching and stability. For players, that means an open and honest assessment of your playing skills, a chance to develop and receive support from coaches who know the game well and are as committed to their players as they are to winning. Leading the way in this player-rich environment is head coach Kirk Ferentz who begins his 12th season as Iowa’s head coach and under whose leadership Iowa has finished in the top 10 four times and in the top 20 five times. Ferentz followed in the footsteps of Hayden Fry who remained at the helm at Iowa for 20 years, from 1979-1998. Iowa coaches stay. Why do you suppose in this day and age of mass coach migration—the infamous coaching carousel—that Iowa's coaches stay? The simple answer is this—just as Iowa football coaches give their players undivided attention and support, the University of Iowa gives its coaches an equally nourishing environment to grow and develop a substantial football program. The University is committed to its coaches and offers them something that the prestige schools cannot always afford—time and freedom to develop. Look at Notre Dame, for example. As a coach, you know going in that if you do not succeed at turning the program around fast, your days will be numbered. The PR focus becomes a nightmare because you not only have to deal with players and coaches as head coach, you have to mediate with donors, alumni, boosters, administration—plus confront a mean-spirited media. Charlie Weis must have considered himself the most abused man on the face of the earth on any Sunday when Notre Dame failed to win on Saturday. He lasted five years, always under the gun—let go after another tortured season in 2009. For Ferentz, coming to Iowa as Fry faded away in 1998 with a 3-8 season meant coming home to a place he’d spent time coaching before he left Iowa City in 1989 to try something new. In his first season in 1999, Iowa went 1-10, followed by a 3-9 record in 2000. Not exactly awe-inspiring results but Ferentz and his coaches were given the time they needed to develop a program that would work at Iowa. Ferentz felt at home, understanding Iowa ethics and the Midwest code for living. Iowa City was a good fit for this quiet, hardworking man. Right along side Ferentz was his defensive coordinator, Norm Parker, whose defenses have been the most consistent ingredient in the Hawkeye formula for success year after year. Parker came with Ferentz to Iowa and he remains a true leader and champion of the defense. His players respect him as do his peers, especially his boss, Ferentz. This year, Iowa could well have the most potent defense in the country. 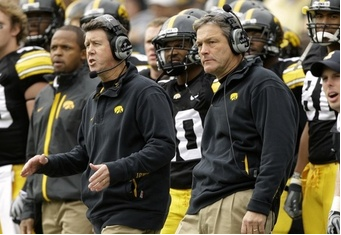 Joining Ferentz and Parker from the beginning was offensive coordinator Ken O’Keefe who has also been at Iowa for 12 seasons, serving as quarterback coach for the past 10. O’Keefe has been responsible for helping nurture and develop some outstanding quarterbacks during his tenure like Brad Banks, Nathan Chandler, and Drew Tate, as well as Ricky Stanzi, the current quarterback. Also on board for the past 12 years is strength and conditioning coach Chris Doyle whose innovations many feel have been the at the core of the development of top Iowa players. Their success on offense and defense come back to Doyle’s ability to assess a player’s strength level, guiding and motivating him to where he needs to be to succeed. • Darrell Wilson, linebacker and special teams coach for his 9th season with the Hawkeyes. This is a rock-solid coaching staff with decades of experience who have created a winning program at the University of Iowa, building on the foundation of football fundamentals. These coaches root for their players and for each other week after week and year after year. So as the Iowa coaches and their players get ready for their opener on September 4 in Iowa City against Eastern Illinois, both will be anxious to prove their preseason No. 10 ranking was spot on. Coaches and players will not wish to start 2010 as they started 2009 with a one-point squeaker over in-state rival Northern Iowa. No one wants to win more than the Iowa players, except the Iowa coaches who have built this winning program from the ground up, retooling the offense and the defense to fit the players they have and retooling the players to fit into roles necessary to win. It works both ways in building a successful football team. 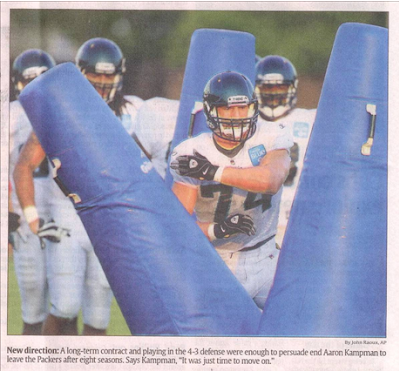 JACKSONVILLE -- Aaron Kampman loves Green Bay. He likes the unmistakable friendly feel of the Wisconsin town, and he understands and appreciates the esteem in which it holds its professional football team, the Packers. The two-time Pro Bowler lived and played there for eight years. But now he's hanging out in Jacksonville, where he signed with the Jaguars as an unrestricted free agent in March after the strangest season of his career. It began with an unwelcome switch from defensive end to outside linebacker when defensive coordinator Dom Capers went from a 4-3 to a 3-4 set and ended prematurely when he tore his anterior cruicate ligament in his left knee in Week 11. And that was the beginning of the end for Kampman's Green Bay experience. The Packers made attempts to keep him, but not with a long-term package. Kampman knew the 3-4 defense would never really suit him. Jacksonville offered a four-year deal worth $26 million, with $11 million guaranteed. Perhaps more important, the Jaguars run a 4-3, meaning Kampman moves back to his beloved end position. His knee is fine, and the Jaguars are counting on his pass-rushing prowess to be likewise. He had 37 sacks from 2006 to 2008 and is joining a team that had a league-low 14 last season. "I am, obviously, excited to get my hand back down (on the ground as a lineman)," Kampman said after a recent Jaguars practice. Even so, he shakes his head about how quickly things changed in Green Bay, where he was one of the more popular players and active with community projects. Asked whether he thinks the Packers were more or less relieved to cut ties, Kampman sighs and pauses before responding. "Um, let's just say I'm just glad to be here in Jacksonville," he says, pausing again and then continuing. "I think they chose to go in a new direction, and totally that's OK. They have every right to do that. I don't know if that included me quite as prominently, so I'd say that's where it stands." So here he is, and his new teammates are quite happy about that. Jaguars quarterback David Garrard smiles when asked about Kampman. "He has brought another leadership role for us -- a guy that is steadfast, a guy that does things by the book, a guy that speaks when he needs to," Garrard says. "He does so much in that regard, especially for the younger guys on the defensive line and the guys on the defense, period. "They see him as a guy who definitely does things the right way and knows how to get it done. I think that's good for them, because they haven't really had that kind of leadership before." Second-year defensive tackle Terrance Knighton says Kampman "shows you how to do drills, shows you how to do things. He's a professional on and off the field. He teaches us how to watch film. For a lot of the young guys, you need a guy like that." Adds rookie defensive tackle Tyson Alualu, "Just getting advice and working on technique with him (is) a great honor for me, just being that he's Aaron Kampman." For his part, Kampman has embraced his teammates as well as his new surroundings. But he still bristles when contemplating last season. "Well, you know, I think that the gifts and abilities that the good Lord gave me probably are best suited for defensive end," he says. "That being said, I clearly was asked to (play linebacker), and I did it to the best of my ability." After his departure, Kampman bought full-page ads in two Wisconsin newspapers to thank fans for their support during his Packers career. "It was a good way for us to have some closure for our time there," he says. "My wife and I feel very fortunate to have been there for eight years --and not too many people stay with one organization for that long --and we built a lot of relationships there and we were very thankful for our time there, but it was just time to move on." Mike Stoops has raised more than the football team's victory total. 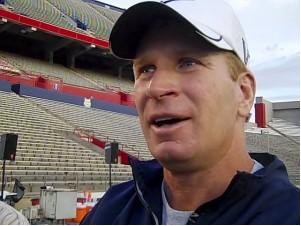 Arizona football coach Mike Stoops has made steady progress in his six seasons as head coach, and we’re not just talking about the win-loss record. Stoops’ conference victory totals have gone like this: two, two, four, four, five, six. Keep in mind that Arizona won a total of four Pac-10 games during the three lost years of the John Mackovic era. Not only did Stoops inherit a mess on the field, he inherited a mess off the field, with discipline and work ethic problems that extended into the classroom. It is here where we see more sure-footed improvement. The football team’s Academic Progress Rate has improved every year since Stoops was hired after the 2003 season. The team’s APR for the 2003-04 school year was 870. The NCAA uses 925 as a cutline for potential punishment, estimating that the 925 level equates to about a 50 percent graduation rate. The Arizona football team was underperforming the national average by 56 points in the 2003-04 school year. Now, in the latest data, it is outperforming the national average by 17 points. You can find the data about Stoops at the head coaches APR database released Thursday by the NCAA. This is a new tool that is helpful in tracking coaches across multiple schools. After rehabbing through his torn ACL last summer and not signing with the Packers until October, veteran right tackle Mark Tauscher is thrilled to be sweating through camp. We talked to Tauscher, Chad Clifton and Joe Philbin to get the scoop. There are not too many veterans who are excited about the start of training camp. 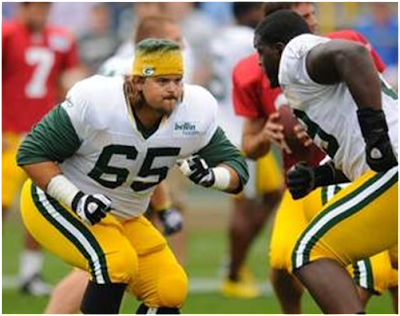 Mark Tauscher is an exception to that rule. “Usually there’s a little bit of dread coming into training camp. This year, I’m excited to be here,” Tauscher said. Last year at this time, Tauscher was enjoying his first month of married life and rehabbing his surgically repaired knee. Missing a late-summer training camp for the first time in a couple decades, Tauscher worked and waited — and waited some more — in hopes of signing a contract in Green Bay. And if not Green Bay, someplace else. He eventually signed with Green Bay and wound up saving the season. Tauscher, who was born in Marshfield, Wis., and played collegiately at Wisconsin before being drafted by the Packers in the seventh round in 2000, offered salvation after the Allen Barbre Project blew up in the Packers’ faces. Tauscher wound up starting eight games, and when he settled into a groove, the Packers’ offensive line woes vanished and the offense flourished. Including the playoffs, the Packers scored 33.6 points per game and allowed Aaron Rodgers to be sacked 20 times when Tauscher started. When he was out, they scored 25.5 points per game and Rodgers was sacked 35 times. Even those sack numbers are skewed, because the Packers allowed six sacks at Tampa Bay, when Tauscher debuted by rotating with Barbre in the first half before exiting on the first drive of the second half with a knee injury. Tauscher was on the field for just one of those sacks. Tauscher was a staple of this year’s offseason practices, with coach Mike McCarthy saying Tauscher looks like his “old self” in terms of strength, explosion and comfort level. Tauscher signed a two-year contract in March. Regardless of what the coaches say, he will retain his starting position with nary a challenge from third-year player Breno Giacomini and second-year player T.J. Lang, who has struggled at times while wearing a brace on his surgically repaired wrist. With the rehab behind him and limited to a one-a-day schedule by McCarthy early in training camp, the 33-year-old Tauscher feels like he’s turned back the clock on his career. Chad Clifton has been the bookend tackle to Tauscher since they were rookies in 2000. Their strong play down the stretch last season was a key to the Packers’ resurgence and their health this year will be vital for any Super Bowl aspirations. Tauscher is under contract through 2011 but wasn’t about to discuss his long-term future. He’s just happy to be healthy and grinding through the hot and sweaty drudgery of training camp after sitting at home last summer. The Chiefs added just one new face to the defensive line this off-season – six-year veteran DT Shaun Smith. Upon arrival, Smith immediately became the second-most experienced member of the group outside of 10-year vet Ron Edwards. The two happen to play the same position. After Edwards and Smith, the next-eldest member of the nine remaining defensive lineman is just 25 years old (Wallace Gilberry). Headed by a pair of top-five draft picks on the bookends, the Chiefs opted to put their faith in youth rather than free agency; particularly in the area player development. While the Chiefs didn’t make any drastic off-season changes to its cast of defensive linemen, head coach Todd Haley completely overhauled the group of men responsible for maximizing their production. The addition of defensive coordinator Romeo Crennel and his proven history of developing youthful linemen was the obvious starting point. In essence, Crennel was the Chiefs big-name free agent along the Chiefs defensive line. But the additions to the coaching staff responsible for developing the defensive line didn’t begin and end with Crennel. Often lost in the conversation is the promotion of former NFL DE Anthony Pleasant to the Chiefs full-time defensive line coach. Pleasant is a disciple of the defensive system that Crennel is teaching, having played in the actual scheme some 12 of his 14 professional seasons. Pleasant even played under Crennel during his NFL career. Pleasant knows the defense and has experience implementing the technique that players can relate to. “Anthony is a good young coach with a bright future and puts into it and he cares about it, and that’s what I like to see,” head coach Todd Haley said. But the Chiefs didn’t stop with adding Crennel and Pleasant to help elevate the Chiefs front seven. Kansas City also hired the part-time services of one of the most successful Taekwondo experts in the United States (Insider Blog: Calling on the Master). GrandMaster Joseph E. Kim, also known as a “pass rush guru,” is back in St. Joseph this week working with the front seven in hand-to-hand combat technique. There isn’t much to figure out when it comes to the Chiefs plan in improving its run defense and overall defensive ranking. If the Chiefs are going to improve defensively in 2010, it will be because of its young players ascending their game across the board. There isn’t a position group that the player development philosophy is more evident than with the Chiefs defense linemen. That quote blankets each of the seven defensive ends currently on the Chiefs roster. The message speaks for itself. An off-season commitment has been made to this position group and that message hasn’t’ been lost in St. Joseph.